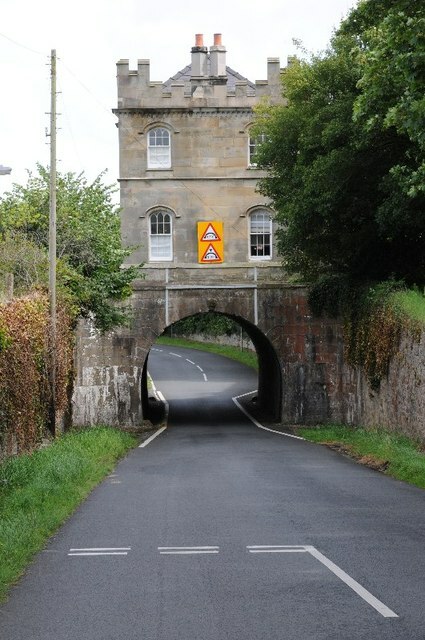 Drybridge Lodge is an unusual castellated lodge situated above a bridge through which the road between Rhewl Mostyn and Tre-Mostyn passes. The lodge was built in 1849 by Ambrose Poynter and is on the Mostyn Hall estate. The building is Grade II listed and is viewed here from the west.